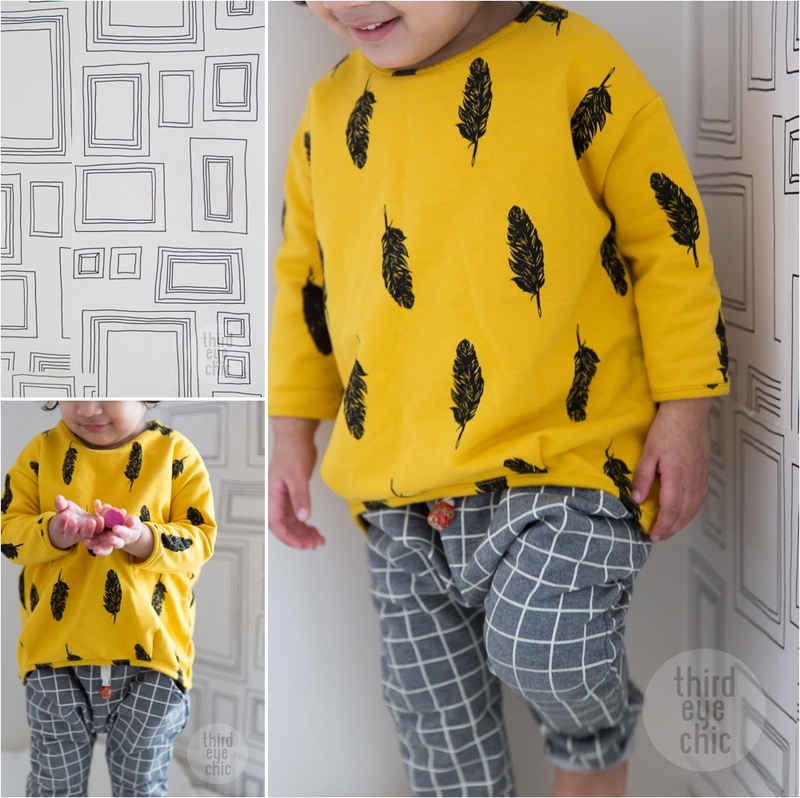 This yellow feather top is my new favorite in O's closet. And these contrast checked harem pants look great with it. The color and feather print on the top are girly enough, and the comfy pants give the outfit a cool, urban look. Also, subtle print mixing at its best.